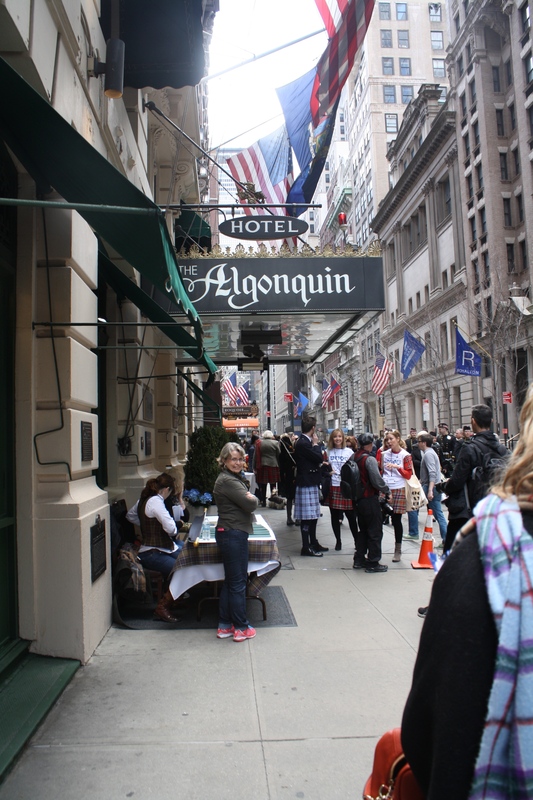 Celebrating Tartan Week in New York City this year? We hope you’ll enjoy some of the wonderful offerings of Scottish food and beverage the city has to offer, whether it’s stopping for a post-parade pint of Bellhaven or enjoying a meal at a gastropub. 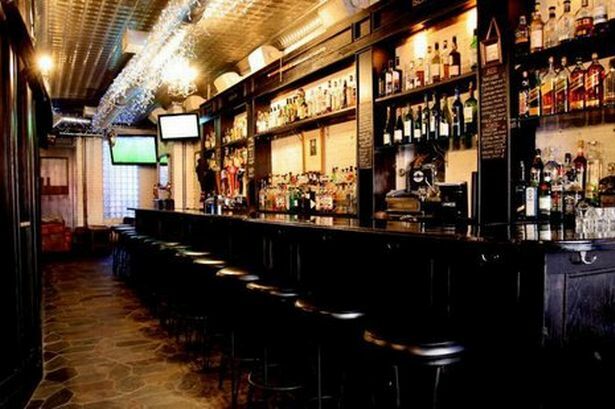 ScotlandNow has put together a lovely list of their favorite places to get a drink in NYC that include several of ASF’s favorites – though if we’re naming names, we’d have to mention our highlight haunts The Craic – Irish/Scottish Pub and Biddy’s Pub to the selections! 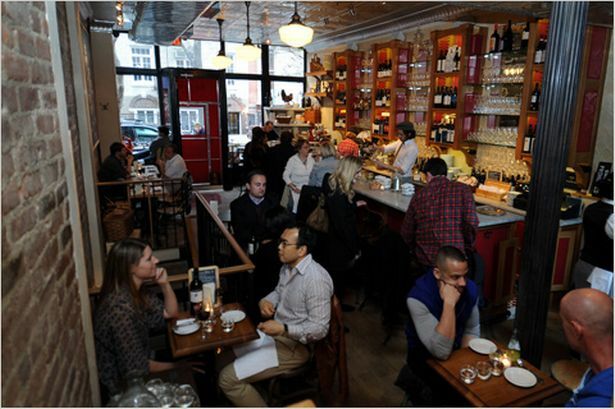 Take a look at a few of their selections and start planning the culinary side of your New York Tartan Week adventures. For wonderful atmosphere, service, and the perfect pint and chips, look no further than The Shakespeare. 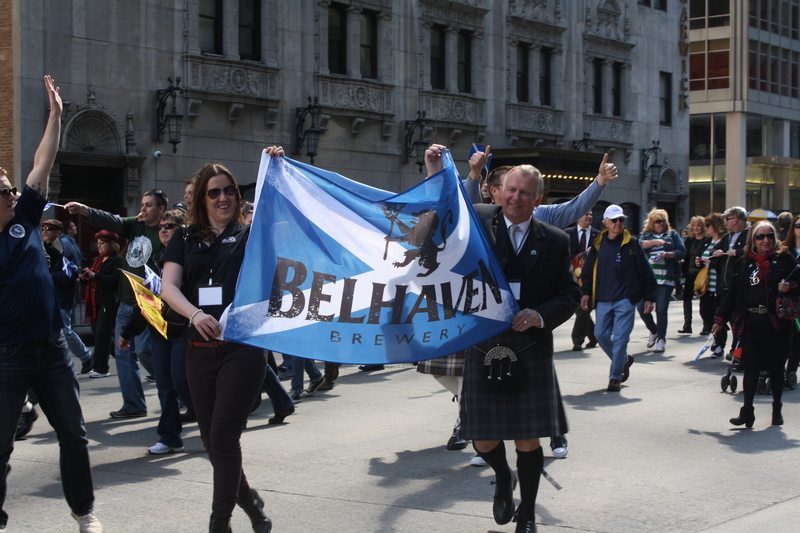 On Tuesday, April 7, Bellhaven Head Brewer George Howell will be hosting a Tap Takeover at Caledonia, but if you can’t make it then, stop by any time for a pint of Bellhaven on tap, or one of their over 180 varieties of Scotch! 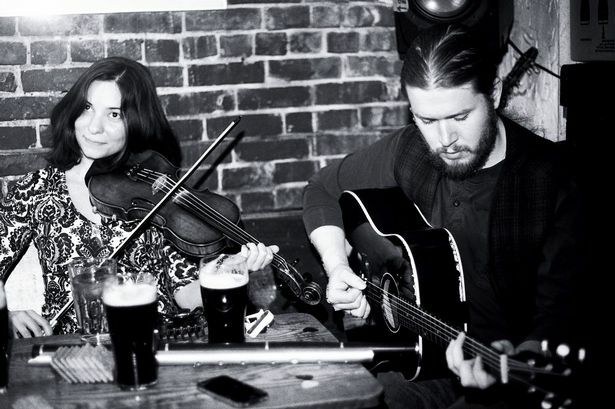 If you’re in the mood for music with your drink, Iona hosts Scottish Session gigs every Monday at 8:30 pm. Their urban beer garden is a wonderful location to kick back after a long day of sightseeing. 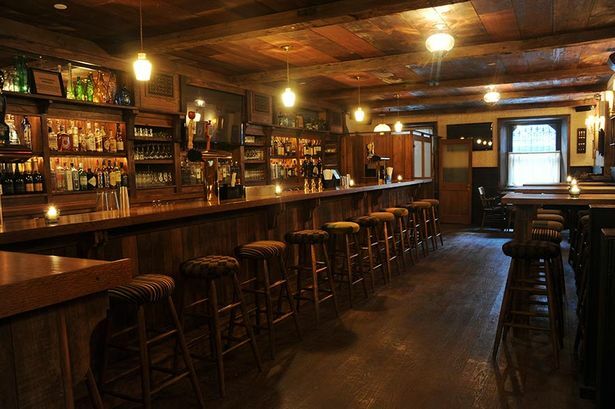 A wonderful place not only to grab a drink but a full meal, Jones Wood Foundry is one of ASF’s favorite gastropubs: friendly and attentive service and wonderful cuisine. 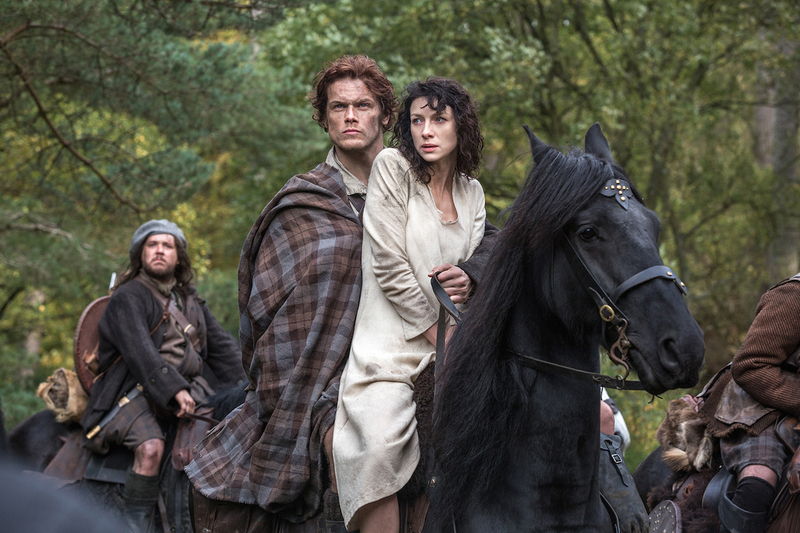 Take a look at the full list, with photos, and read the article on ScotlandNow’s website. 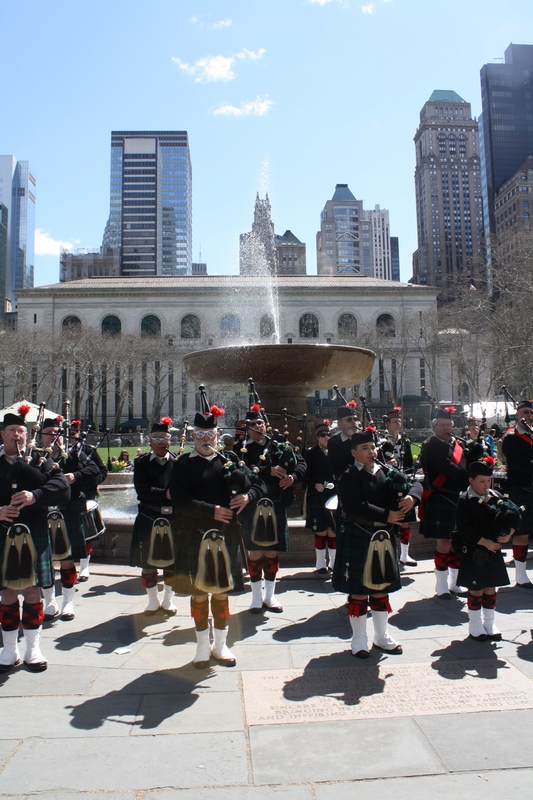 This entry was posted in Scotland-Tartan Week and tagged Biddy's Pub, Caledonia, Iona, Jones Wood Foundry, ScotlandNow, Tartan Week, The Craic on March 29, 2015 by Sara Heegaard. 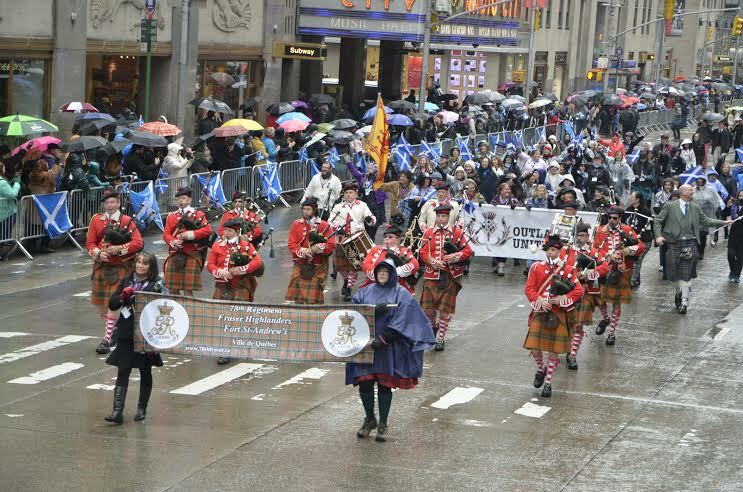 Alan Bain, Chairman of the American Scottish Foundation recalls the humble beginnings of the first Tartan Day Parade in New York, which was so small it took place on the sidewalk. 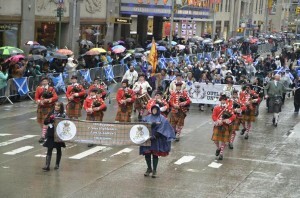 The concept of Tartan Day was introduced to The Scottish Coalition, which is group of six national American Scottish organizations that had been convened by “force of nature” Ms. Duncan MacDonald, in order to celebrate the 25th Anniversary of the Caledonian Foundation – of which she was a director and officer. 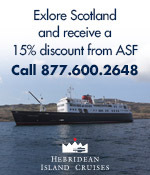 Once described as “the first lady of Scotland in America” she called herself Duncan after her Scots grandfather because her father had anticipated a boy – and because another girl at school had the same name as her, Dorothy. Under the Scottish Coalition she managed to bring to get the many organizations that all had the same goal – to support Scotland. 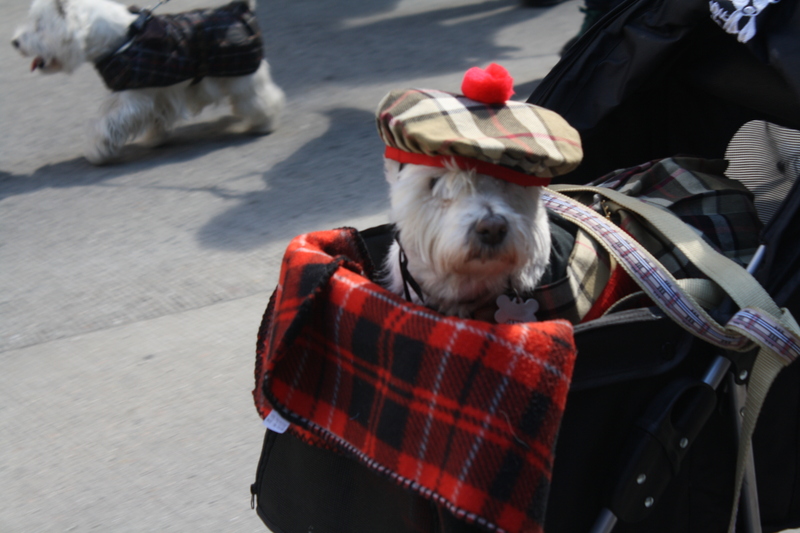 Tartan Day originated in Canada. 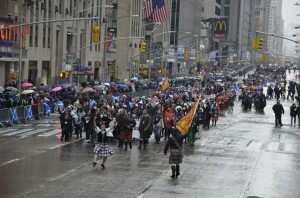 Its purpose was to celebrate the role Scots and Canadian Scots had played in the birth and development of Canada. 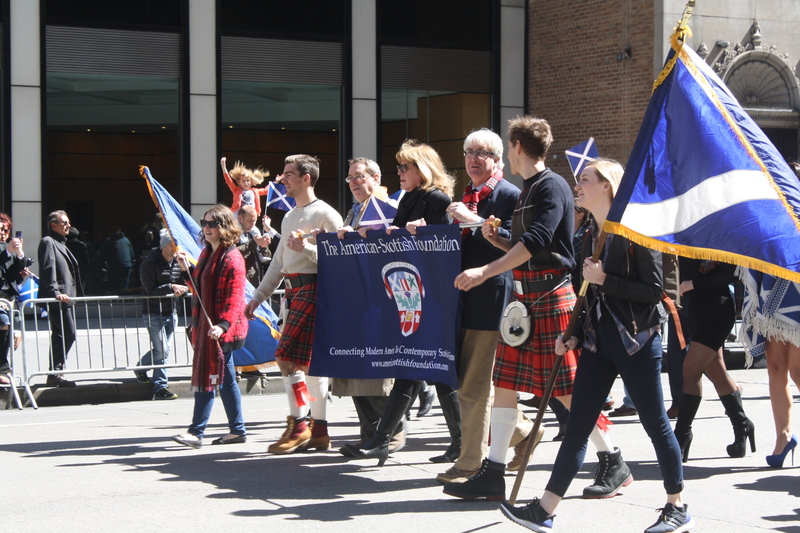 The strategy resonated with the group assembled by Ms MacDonald as Scots and American Scots had a similar impact in the U.S. Of the 41 men who have served as president of United States an astonishing thirty-one have had at least some documented Scottish ancestry. That is a score of more than 75 per cent, and when compared with the less than 4.4% of the American people in general who are of Scottish descent amounts to an over-representation of more than 17 times! 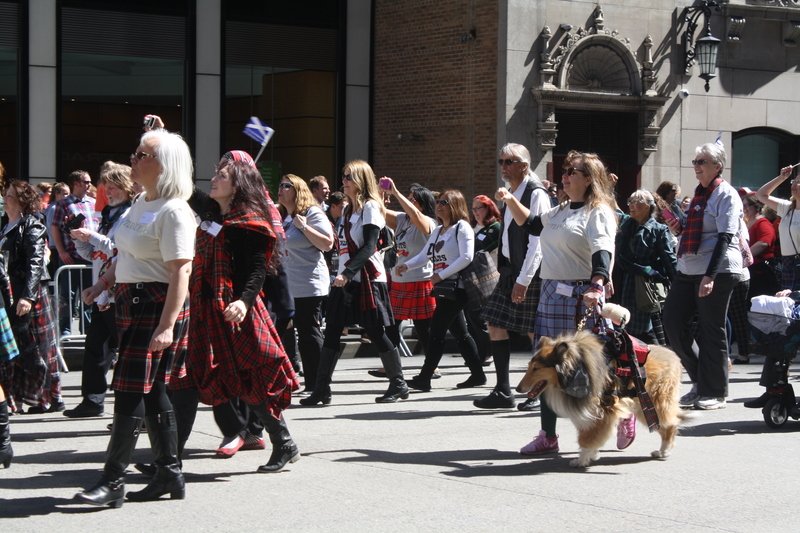 The Canadians picked April 6 as the date on which Tartan Day was to be celebrated since April 6, 1320 was the date on which the Scots submitted a petition to the then Pope urging his support of their determination to be free of English involvement in their affairs. The document, known as The Declaration of Arbroath contains such stirring language and powerful ideas that it served as a strong influence on America’s Declaration of Independence. 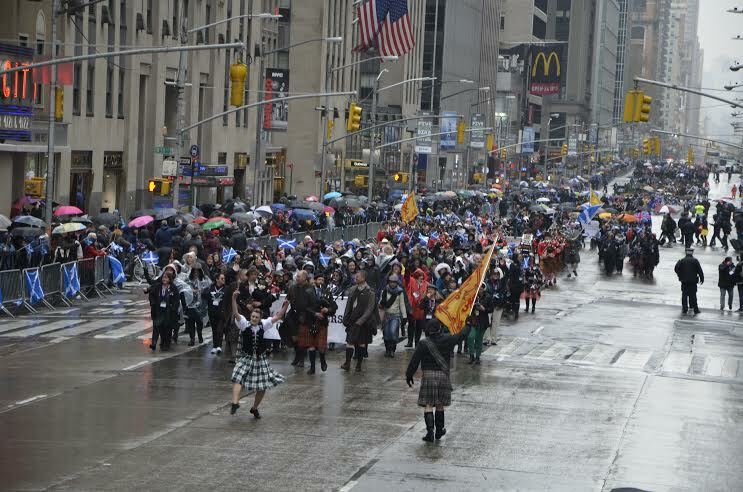 As part of the assembled group, The American-Scottish Foundation was tasked with initiating Tartan Day celebrations in New York City and chose to an annual parade. 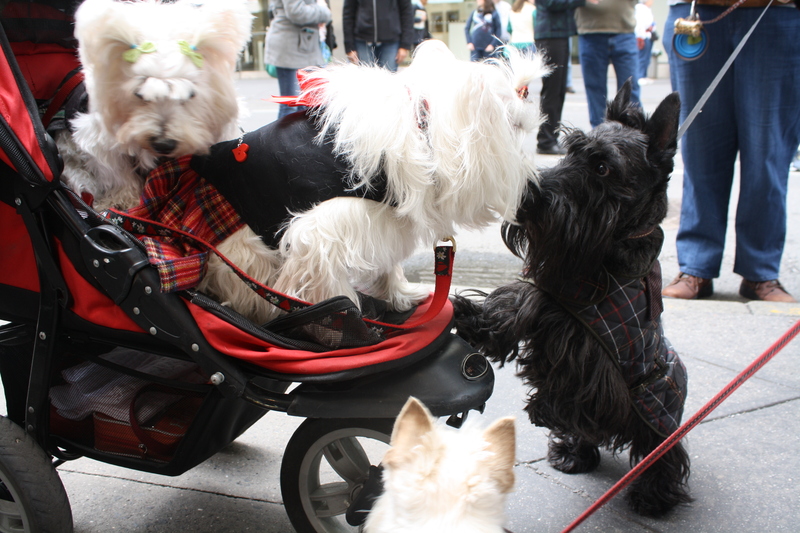 Accordingly, on Saturday, April 6, 1998 the first “Parade” was held. It took place on the sidewalk of Third Avenue early in the morning from the British Consul General’s office on Third Avenue at 52nd Street to the Dag Hammarskjold Park by the U.N. at First Avenue and 49th Street. 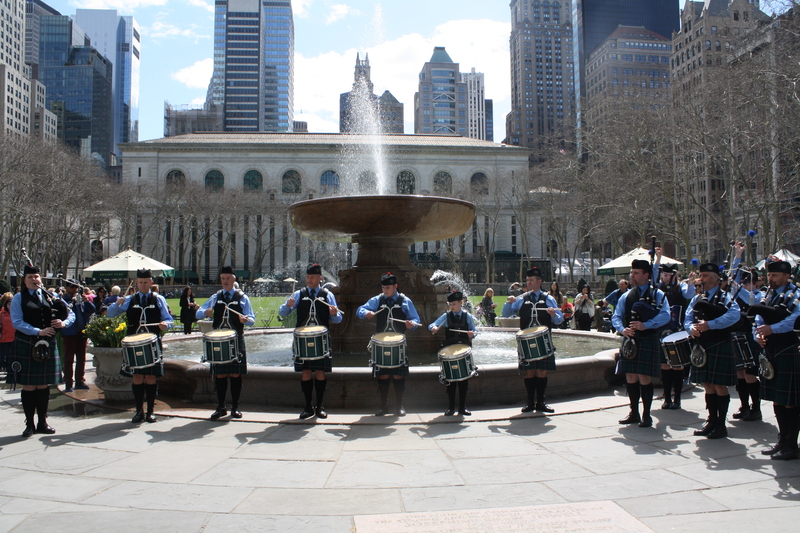 Despite its modest beginning, Tartan Day quickly became Tartan Week then Tartan Fortnight and continues to grow, taking on the form of a Fringe Festival where activities to suit most tastes take place. 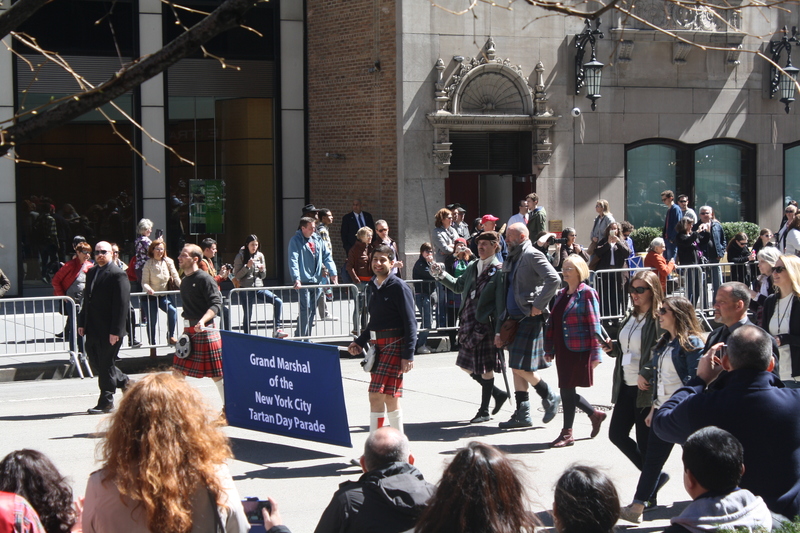 Today the Parade attracts a crowd of thousands including visitors from Scotland that add to the enjoyment of the occasion and Tartan Day celebration are held as far away as Argentina. 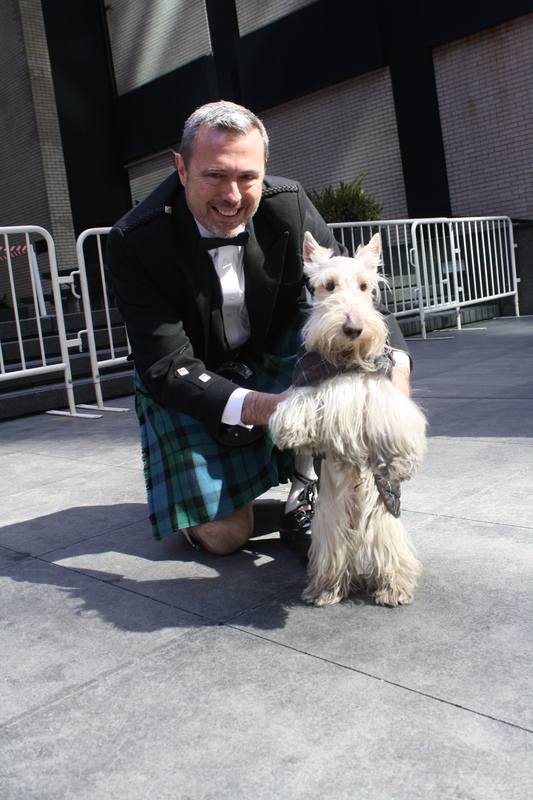 Included in the annual Parade in NYC are a contingent of Scottish and West Highland Terriers, a variety of Pipe Bands from the East Coast and beyond and each year a contingent of bands and groups from Scotland. What’s especially gratifying for those of us involved is the fact that the celebration of Tartan Day is now a National as well as an International phenomenon. 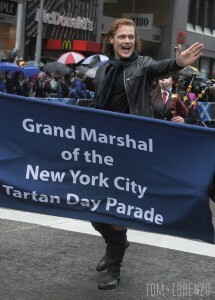 This entry was posted in News, Scotland-Tartan Week and tagged Tartan Week on June 5, 2014 by Camilla Hellman. 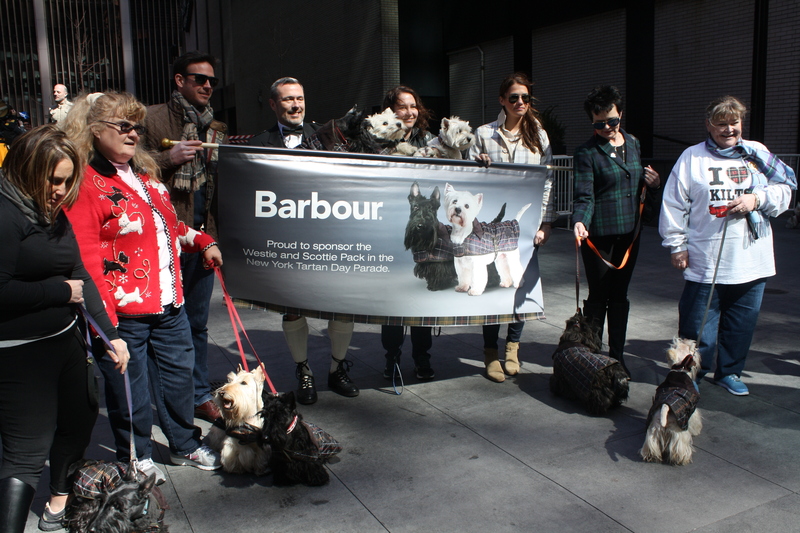 The Parade starts at 2.00pm on April 5 at W45th Street and marches up 6th Avenue to 55th Street. 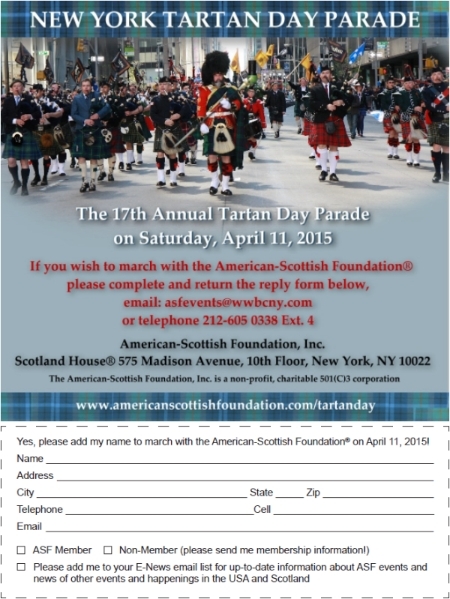 This entry was posted in ASF Events, Scotland-Tartan Week and tagged NTDNYC, Tartan Day Parade, Tartan Week on November 15, 2013 by Mark Beaumont.